The City of London has always been an interesting place for tourists in the English capital. As a start, this part of Greater London functions as an independent city. In other words, the City is a city within a city. In addition to that, it has the status of a county of England. And to make things even more complicated, the City of London is one of the 33 local authority districts of Greater London and yet it is not a borough. Yes, the City is many things, including the main financial district in London. Many of the world’s top banks and financial institutions and companies have set their headquarters there. So, chances are that if you are living in London and working in the field of finance, banking or even law, you are commuting to the City of London. Even though this part of Greater London is inhabited by just about 9,000 people, it is estimated that approximately 300,000 commuters travel or pass through it every single day. Most of these structures are commercial ones. However, the City of London is also home to three of tallest residential buildings in the UK capital – Shakespeare Tower, Cromwell Tower and Lauderdale Tower. 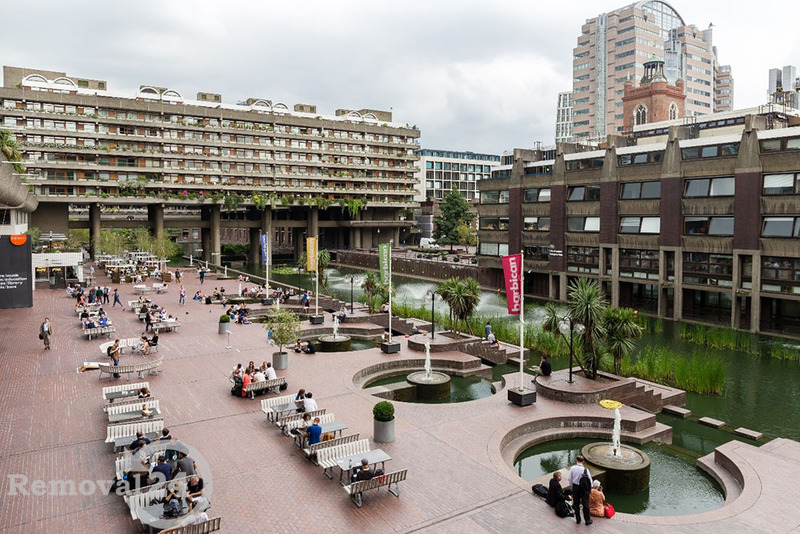 They are all set in the area of Barbican and are part of the Barbican Estate and the only residential structure in London that is taller than them is the Isle of Dogs’ Pan Peninsula. 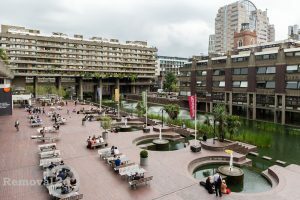 Barbican is also where you can find the Museum of London, a large public library and the Grade II listed Barbican Centre. Therefore, this area has a more residential character compared to most other districts in the City. And yet again, here you can easily find commercial office space. As a result, professional office removal services in Barbican EC1 are also available at a very good price at that. The City of London may be one of the world top financial capitals but that does not mean that it is filled only with insanely tall office buildings. This part of Greater London offers an abundance of amazing landmarks. Unfortunately, the historic buildings in the City are not a lot since a great part of the Square Mile was destroyed by the bombing during World War II. Still, a few local areas have preserved some of their old appearance. Such is the case with Blackfriars which has a few old parts that showcase many of London’s architectural periods. These places in the district are often used as a background for various films and TV series. One of the most famous buildings in EC4 is the Blackfriars Pub. If you wish to move office here, you can use a local office removal service in Blackfriars EC4 even on weekends and national holidays. Another area in the City of London which combines the busy world of business and the rich history of the English capital is Aldgate. Referred to as the insurance capital of London, EC3’s streets are also filled with countless professionals dressed in suits. That is why you can easily enjoy competitively priced office removals in Aldgate EC3. However, this is also a place where you can see the Bevis Marks Synagogue. It was constructed in 1699 and it is officially the oldest synagogue in the United Kingdom. This is also one of the few areas in the City that is characterised by its exceptionally diverse architecture. That is why residential properties in Aldgate come in all sizes and at different prices. 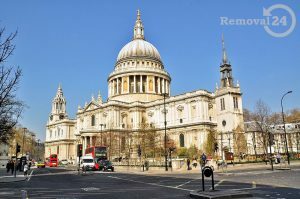 Other historic landmarks you can find in the City of London are St Paul’s Cathedral, Mansion House and the Guildhall.